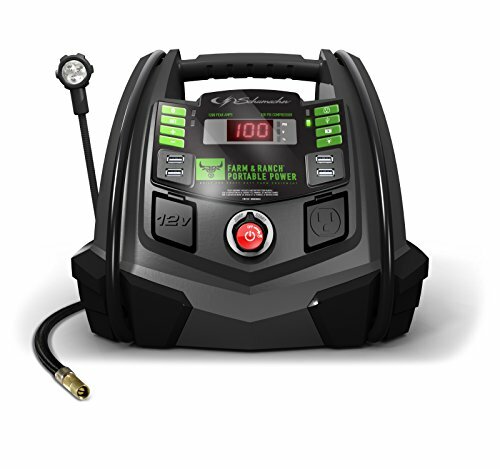 Schumacher's FR01337 1200A 12V DOE Jump Starter + Power Supply + Air Compressor is a portable power station that works with V8 engines and 4-8 cylinders. The 1200 Amp engine start is a suitable for car and truck batteries alike. Features an automatic air compressor and hook-up safe guard to ensure safety. Charge devices up to two times faster with the on board 4-port USB hub.